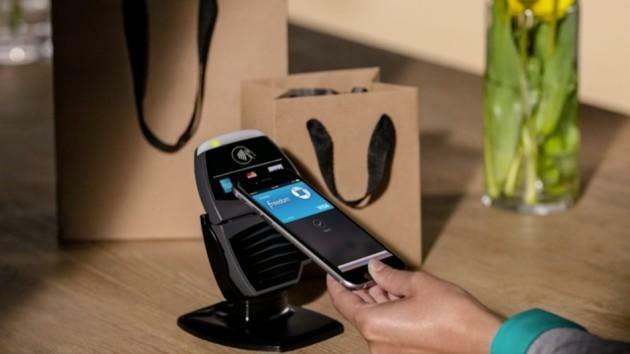 Apple Pay Rolls Out Today, But There's a "Lot of Work to Do"
Apple Pay officially rolls out today in the U.S. through retailers that support the new mobile payment service, including McDonald's, Walgreens locations, Whole Foods and the Apple Store. Users will first need to wait to install iOS 8.1 before taking advantage of the system, which will allow you to pay for goods and services with the tap of your phone, and that update is due later today. Still, even Apple admits there's a long way to go. The Wall Street Journal recently spoke with Apple's Eddy Cue, Cupertino's senior vice president of software and services, who noted that while today is indeed the official launch, there are still plenty of places it needs to improve. "We're trying to do something that I think is a game changer and it requires a lot of people to play together," Cue told The Wall Street Journal. "There's a lot to do here and we have a lot of work to do, but it should be huge." One area of weakness highlighted by the news outlet is the lack of support for paying with store reward cards, like a Macy's credit card or a Home Depot credit card, for example. Apple has apparently been working around the clock to add new partners, however, and said last Thursday that it recently added 500 new banks to the Apple Pay program. Until additional retailers and cards come on board, however, the majority of Apple Pay transactions may be through apps that offer Apple Pay integration for buying goods, instead of in physical stores. We're excited to give Apple Pay a try later today, provided iOS 8.1 rolls out sooner rather than later.